WASHINGTON—Smugglers south of the border have exploited every loophole in American border security for decades. Right now, a disturbing trend shows that children are being used to cross the border illegally with adults, who will then claim asylum as a family unit and hope to be released into the interior of the United States more quickly. “We’ve got intelligence that alien smuggling organizations are making children available to single adults so that they can come and claim to be a family unit and not be detained,” Immigration and Customs Enforcement (ICE) Deputy Director Tom Homan said on May 7. In fiscal year 2017, the U.S. Department of Homeland Security saw 46 cases of children being used fraudulently by adults crossing illegally. In the first five months of fiscal 2018, 191 cases have been reported. “The numbers we have compiled show unequivocally that smugglers, human traffickers, and nefarious actors are attempting to use hundreds of children to exploit our immigration laws in hopes of gaining entry to the United States,” said DHS spokeswoman Katie Waldman. The two loopholes that smugglers are utilizing are the Trafficking Victims Protection Reauthorization Act (TVPRA) and the Flores Settlement Agreement. Under Flores, a family unit cannot be held for more than 20 days, which usually means the family is released into the interior of the United States with a court date potentially years down the road. The TVPRA doesn’t allow the United States to refuse entry to children who are not from Mexico and send them back into Mexico—hence the high numbers of Central American migrants entering illegally as family units or unaccompanied minors and claiming asylum. Only about 20 percent of asylum cases are eventually granted approval by a federal judge. Sans Congressional action, the administration is attempting to control the loopholes with the zero tolerance policy introduced by Attorney General Jeff Sessions recently, which promises to prosecute all adults who enter the country illegally. The policy is not new, it was just not enforced during the Obama administration. The increase in prosecutions mean that more adults are being detained, pending their case. In these instances, their children will be detained separately. 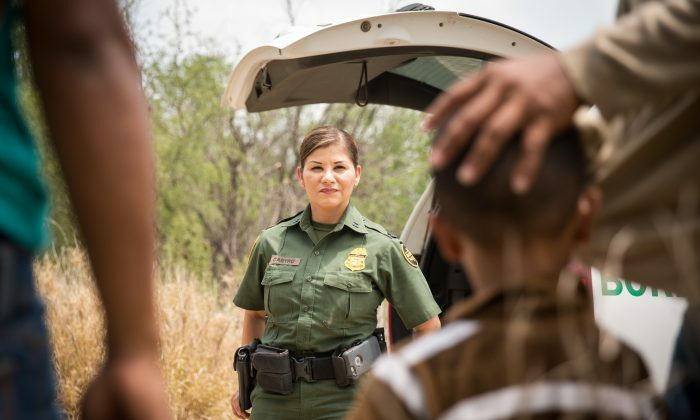 Homeland Security will also detain children separately if it is not possible to establish the custodial relationship, or Homeland Security believes the custodian may be a threat to the child. “[The] numbers show the dire situation at the border that requires urgent Congressional action to address loopholes that put these children at risk. We will continue to take action to protect these children,” Waldman said.